Social media is without any doubt the most important thing that changes so quickly. One day you see people doing something on social media and the very next day, it all changes to something new. This is the reality that we need to cope with. A report says that last year more than two and half billion people used social media around the world. If half of the population on earth is using at least 1 social media platform, it would all go to waste if you don’t use this opportunity to create interactive brand awareness techniques and advertisement campaigns for your products and services. The key idea behind social media is to provide a platform where people can interact with each other and it’s still one of the key factors but not the only one. Now social media websites put ads so the users can take interest in the products and services. This is going to get even better and more common in the coming months and soon you will experience a more personalized and better advertisement way of how companies and brands interact with you. As an owner of a company or organization that sells services or products, you need to keep an eye out for these new trends on social media and prepare yourself to use them for your benefits. Up until now, you have seen the success and fame of social media platforms and computer games separately. The thing is that when it comes to social media i.e. Facebook and Snapchat and games like DOTA or Far Cry 3, both seem equally important and famous. Some of your friends would like to spend more time on social media where others might take interest in gaming all day long. We are very close the time when both of these elements will be combined forever. This means social media and gaming will become a single entity very soon. With the new developments, we can tell you to look out for this trend in 2018 but it can also emerge in the beginning of 2019. A few years ago, Google introduced augmented reality with their glasses but somehow the idea wasn’t a great hit. Experts say that the time was not right and the technology wasn’t intriguing enough to attract more users. Whatever happened is not important as augmented reality is about to make its way back into the social media and this time, it’s going to be a blast because not only Google but other social media platforms i.e. Facebook and YouTube are also working on this technology. Once AR is released, more apps and programs will be developed for the use of this interactive technology and it’s estimated to be seen in late 2018. Do you remember why Facebook was invented? It was a program designed for university students to interact with each other and see their social status without the need of talking to each other in reality. That’s the base of any social media platform but when these companies saw huge boost of users, they changed their approach and now most of these platforms use marketing and advertisements as the key source of revenue. Because of this, we see more ads and marketing campaigns on Facebook and YouTube these days. In the near future, all of it is going to become more sophisticated and users will see more interesting ways of advertisements on social media. 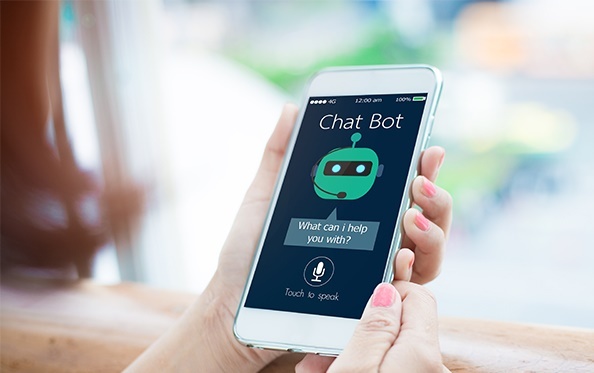 The success of already existed chatbots show that this is a great hit and more companies and brands are using the artificial intelligence based robots to interact with social media users for brand awareness and increased sales. They are also used for better and around the clock customer service and this is just the beginning. Chatbots are the future of how brands interact with their followers and customers on social media and it’s safe to say that soon there will be no need to hire actual customer service workers as these chatbots will take over completely and will dominate the marketing and advertisement on social media. It is very common these days that you click on a product on social media and when companies see your interest in that particular product, you start seeing relevant advertisements and ad campaigns on social media when you use the internet. The basic idea behind putting ads on social media is to get the statistics from these platforms about what a particular user likes and takes interest in and then defining a personalized marketing campaign to gain their interest. In the near future, the advertisements on social media will take a drastic change because social media platforms are going to use your chat history and will look for specific keywords in your conversations to evaluate what you might need. For instance, you are talking to your friends about having problems with the current server and the social media will instantly present an ad of new and better server that suits your needs. This means you will no longer need to search for products on the internet as the social media platforms will understand what you need and will present the exact products and services to you.